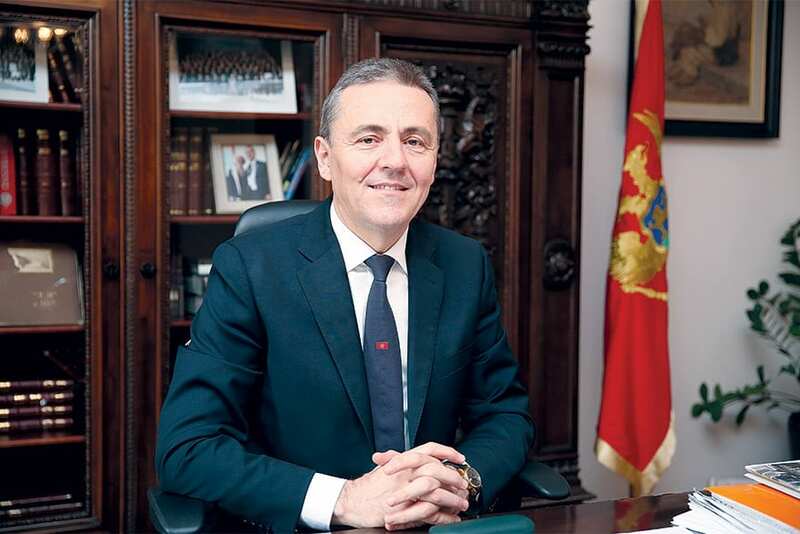 “I am optimistic that Montenegro is on the right track. 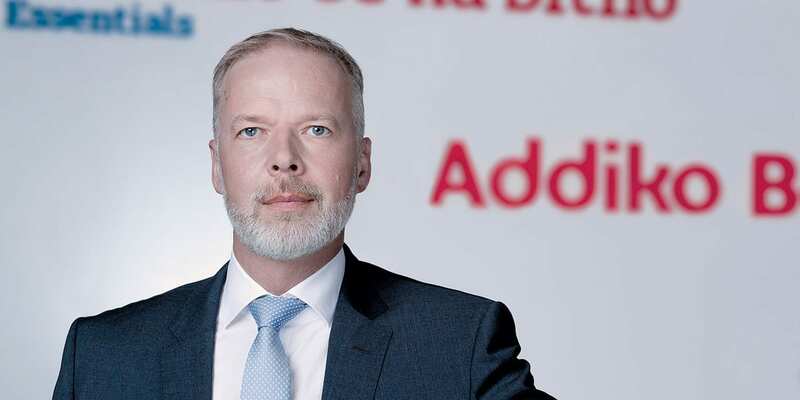 I wish for it to move fast along this track, and the MFIC will always try to be a partner that aims to speed up the positive trends,” says Christoph Schoen, MFIC President and Chairman of the MFIC Board of Directors, and CEO of Addiko bank. Our interlocutor believes that the Government of Montenegro has made considerable progress on reforms, but he also points out practises that are hindering the process of establishing a fully-functional market economy. The previous two years have been challenging for the Government of Montenegro in terms of maintaining macroeconomic stability and the pace of public investments. How has this period been perceived by the business sector? – It is obvious that the Montenegrin Government exerts a lot of effort to provide macroeconomic stability, focusing in particular on fiscal stability and dealing with fiscal consolidation. Fiscal stabilisation measures, and their impact on the business community, are currently among the most important topics. Today’s perception of investors is that the implementation of fiscal stabilisation measures is a “must”, given the challenges ahead of us and the fact that it is of the utmost importance to embed them in a strong legal and control framework, and to monitor their impact and counter steer if necessary. These accompanying measures are crucial in order to avoid expected benefits being lost due to the grey economy and criminal activities. The Government is aware that it is important for the success of the measures to build up capacities in tax and customs control and audit functions, together with regularly monitoring the real impact on the business environment. However, fiscal policy, as a tool of macroeconomic stability, needs further strengthening, while the measures introduced should be seen only as the beginning of a process that should create public finance. How are on-going deliberations related to the prospective dates of EU accession for the countries of the region influencing interest in Montenegro among investors? – The EU accession process, as well as NATO membership, regional initiatives and integrations are constant priorities of the MFIC, in the sense that MFIC members believe that those processes contribute to the overall development of society, including the economy and business environment. It is obvious that this topic is important for potential new investors and that positive signals from the EU stimulate reputable investors, and vice versa. What does Montenegro need the most if it wants to become a fullyfledged market economy in line with EU standards? 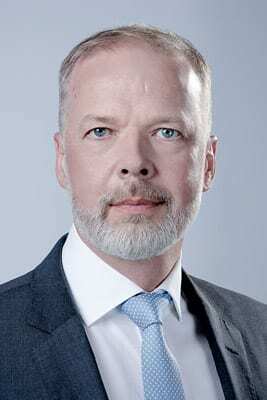 – With a view to the edition of the White Book published in March 2018, I would point out the constant low scores for the rule of law, rated at around “5 out of 10” (1 is the lowest rate) for the last seven years, and the repeated comments and complaints of MFIC members during the same period. In relation to this, evaluating the regulatory environment in Montenegro is a very important part of the MFIC activities. Besides efficient legislation that is harmonised with modern practises and adopted with the involvement of the main stakeholders, we strongly believe that the “regulatory environment” should consider implementation, execution and judicial practise as important elements and preconditions of a business environment that is attractive to foreign investors. The 2017 Index is the highest since this kind of evaluation has been introduced. How optimistic are you when it comes to the prospects of the Montenegrin economy in terms of medium-term macroeconomic stability and GDP growth? – With a very high response rate among MFIC members to the predefined questionnaire, we calculated the MFIC Indices for 2016 at 6.35 and for 2017 at 6.47 (1 is the lowest score and 10 the highest). The result for 2016 shows index stabilisation, especially in comparison with 2013 and 2014, and a slight increase compared to 2015, when the Index stood at 6.2. The Index for 2017 is the highest since this kind of evaluation has been introduced. This result indicates that foreign investors perceive the overall business environment as constantly improving. In contrast, however, we are still talking about a figure that is less than “6.5 out of 10”, which means that serious reforms should be implemented, starting with the indicated sectors. What instilled the most optimism among your members and what do you perceive as the most challenging tasks ahead? – The common opinion is that Montenegro is improving its general business environment constantly, and that is not surprisingly recognised by the MFIC Index, as well as by other calculated indices/measures. However, two points stand out from the findings: one, the pace of reform and improvements has to be accelerated in order to produce the desired results; two, even though Montenegro’s business environment is improving, the starting point is rather low and the country remains in the upper middle rankings, with significant room for additional improvement. The Montenegrin Foreign Investors Council and the Chamber of Commerce expressed their intention to intensify cooperation. What are the most important points of convergence between the two associations and how will you work together in practical terms? – The Montenegrin Foreign Investors Council and the Chamber of Commerce of Montenegro will intensify their cooperation and use their synergy to improve the business environment in Montenegro. The Council and Chamber share their perception of the country’s economic development and the necessity to coordinate joint activities and initiatives for decision-makers to impact on the improvement of the business climate. Some of the topics to be focused on include education, digitisation, labour market flexibility and possibilities to expand the tax base, reduce the informal economy and possibly reduce taxes and contributions that burden business operations, all of which would strengthen the competitiveness of the Montenegrin economy. As a first mutual activity, we will have a common approach to decisionmakers concerning the Draft Labour Law. The Labour Law is an umbrella piece of legislation that is equally important for the economy and all employees, and it is particularly sensitive because it should provide fairness and protection for employees, whilst also promoting healthy competition for skilled, long-term jobs by facilitating flexibility and labour mobility. Unfortunately, the inflexibilities that the current Labour Law incorporates may lead to negative consequences for the entire Montenegrin economy. This is an area that is still subject to criticism from the business community, primarily due to rigid provisions that only serve to inhibit a stronger labour market and indirectly protect people who perform inadequately, thus contributing significantly to a higher unemployment rate. Next year will see MFIC celebrate a decade of its existence in Montenegro. What landmark achievements helped MFIC to become what it is today? 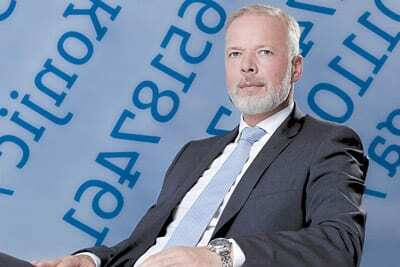 – MFCI was established in 2009 with five founding members (Crnogorski Telekom A.D., NLB Montenegro Banka A.D., Montenegro Stars Hotel Group, KAP A.D. and Daido Metal A.D.), and its membership base has expanded constantly since then. It today comprises 36 members that represent a significant percentage of the country’s GDP and represent the best examples of foreign investment that brought new standards and practises to the country that are in line with international good business values. MFIC activities and initiatives have always focused on the mission of an organisation that aims to improve the investment climate and support business development in Montenegro. The MFIC publications, such as the White Book and the Guide to the MFIC, activities of the ICT Committee and the Banking Committee, as well as regular and ad hoc events and communication, have been attractive reasons for companies to join us, but also for decision-makers to accept us as an important stakeholder representing the private sector. How do you asses the cooperation with the government and independent bodies? – Communicating with the government and public administration remains an important task of the Council. As such, finding the proper mechanisms and getting involved at different levels is essential and beneficial for both sides. MFIC is a member of the National Competitiveness Council, chaired by the Prime Minister, a member of the working group engaged in developing the National Strategy for Sustainable Development, and a member of the working group that is preparing the Strategy for the Development of SMEs in Montenegro for 2018-2022, and it always has an “open door” to initiate dialogue. You have two committees currently dealing with the banking sector and ICT. How does digitisation – which recently became one of the priorities in the region – shape the topics you discuss? – Digital transformation is changing the way we communicate, work and live. The use of digital technologies can generate significant benefits in terms of speed, efficiency and transparency across borders for the economy at large. The adoption of new business development trends can accelerate business productivity, thereby generating income, jobs and state revenue, which requires pro investment policies from the Government to sustain the sector’s momentum, by reviewing all factors impacting on operators: macro-economic, marketplace, government policy, regulation, legacy aspects and technology changes, customer expectation and globalisation. As chairman of the MFIC Banking Committee and CEO of Addiko bank, could you tell us what you see as the most important issues when it comes to institutional improvements in the financial sector? – At this point, the Montenegrin banking system looks stable, with relatively high liquidity outgrowth as a general conclusion, highlighting the challenges in the part of lending in line with banking practises and quality standards. Also, considering the current large number of banks on such a small market, we can expect certain aspects of consolidation in the coming period. New legislation is focused on improvements to the “healthy” and stable financial system. It involves capacity building for both commercial banks and the regulator. In that sense, new legislation and new rules could be challenging for implementation generally and could prove challenging for the banking sector. A great deal of work has already been done, but we are awaited by much more.